Dance music fans might find themselves needing to contact Creamfields festival. Whether it is ahead of the event or after, you can call Creamfields customer services. All the contact details you need are here. Creamfields is a major dance music festival in the UK. Originally taking place in Winchester in 1998, the festival now takes place in Daresbury. Creamfields took place in the founders’ spiritual home of Liverpool from 1999 to 2005 until it outgrew the site. By 2017, the number of festival-goers grew to around 70,000. Creamfields is popular for fans of EDM around the world. It has won several awards for Best Dance Event and Best Dance Festival. Due to its success, Creamfields hosts sister events in other countries and smaller events in the UK each year. The Creamfields festival normally runs over the August Bank Holiday weekend. Contact Creamfields during the week by calling the phone numbers below. Your first contact for general enquiries about Creamfields is the customer support team. Connect to them from Monday to Friday by calling 0844 248 2375. Please note that all helplines are for information, so you cannot make bookings this way. Tickets are available from official partners such as Ticketmaster and See Tickets. You will need to contact them directly about orders and payments. This helpline can tell you the ticket prices and availability. They can discuss the line-up or services at the festival. Things you may need information about could be the shuttle bus or Big Green Coach service, alcohol allowances, or entry rules. Unless you only have a ticket for one day, you will need somewhere to stay during Creamfields. There are campsites for tents only, not allowing campervans or caravans. People are not allowed to sleep in cars in the car park. There are four levels of camping tickets: standard, bronze, silver, and gold. These each give you access to more facilities. There are also Dreamfields packages for boutique camping. Call 0844 248 2376 for help with camping arrangements. Get more information about the facilities available, including charging, lockers, toilets, showers, food, stores, and cash machines. Check which items you can’t take in. Creamfields operates an Access Scheme to allow dance music fans with disabilities to attend the festival. Call 0844 248 2377 for information on applying for the scheme and the evidence you need to provide. If you need a personal assistant with you, they may receive one free ticket. The scheme will allow you to use the accessible campsite, parking, viewing platforms, and toilets. Call this number to ask about accessible facilities and medical support. Find out about the festival layout and ground conditions, or wait for your Access Guide. Enquire via e-mail at disabledaccess@creamfields.com or acccess@creamfields.com. Food and market stalls are an important part of any festival, and a good business opportunity. Foodwise, Creamfields aims to cater everyone, including vegans and vegetarians. Call 0844 248 2378 to ask about food options if you have strict dietary requirements. There are also stalls for accessories like sunglasses and glitter. Onsite stores will sell camping supplies and general goods for hygiene and health. If you want to run a food stand at Creamfields, e-mail Beth Greaves of DJ Catering at beth@djcatering.co.uk. Other than food, you can e-mail Dean Crame at 5D Concessions about selling your products at info@5dcuk.com. In the event that you are not happy about something to do with Creamfields, call 0844 248 2379. You may want to complain about the festival line-up, ticket prices, accessibility, or the facilities. The behaviour of the staff in customer services or at the festival, such as security, could be the reason for your complaint. You can make suggestions for improvement for the next Creamfields. These could be regarding camping, food options, or entertainment acts. If you did not attend Creamfields, you might have a complaint about the noise levels. Residents with noise complaints can also e-mail creamfields.residents@livenation.co.uk. You can prove that you’re a fan of Creamfields with the official merchandise. Even if you don’t purchase it at the festival, you can buy it online anytime. The range of clothing includes vests, t-shirts, and jackets, and even hotpants. There are accessories such as caps, flags, popsockets, patches, laminates, and gym bags. If you want merch designs from a few years back, they are still available online. Call 0844 248 2381 for help with Creamfields merchandise. You can also e-mail support@firebrandlive.com if there is a problem with your order. Check shipping costs, make amendments to your address, or exchange for a different size. For quick questions or comments about Creamfields, go to their Facebook or Twitter pages. If you would rather contact them privately, e-mail your enquiries or complaints to info@cream.co.uk. Please note that you may not receive a reply for up to five working days, especially during busy periods. For enquires to do with advertising or sponsorships, e-mail partnerships@livenation.co.uk directly. 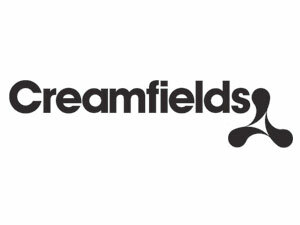 If you want to work for Creamfields at one of the bars, e-mail jobs@cream.co.uk. You will need to provide contact details and a copy of your CV. Volunteers can apply through Festaff. As a slower option, contact Creamfields by post.